Great place, interesting hostel. Clean bathrooms, cool common area, very friendly staff at the front, great access to Alkmaar village and about 10 min walk to train stop. Had a great time! I love it! The bedroom was very clean and the bathroom too. The staffs were friendly kindly and helpful! We had a problem with the time to get to the hotel. We called the hotel and they were very nice and let us do the check-in after the deadline. Excellent location and good value for money. Nice staff. It was very close to the city center. We got an upgrade from our usual room, because the room wasn't ready. The wifi worked fine. The bar that doubles as a reception was quite unique. I stayed in the hotel. The 3 persons room is literally in the attic which was charming, however if you're tall you'll not like it coz of tilted ceilings. Staff were very helpful and accommodating. It is close to the train station. Around 15 minutes on foot. The staff are nice but can’t speak English that well. Everything is clean. I was surprised. The place is very quiet and clean. Also, the staff is very friendly and patient. The breakfast was very good, the coffee is very good. It was an extremely noisy room, our window was to the stairwell so we had people running up and down and shouting and congregating all night. The guests in the room above were also very loud and when we asked if we could change rooms we were just told no. 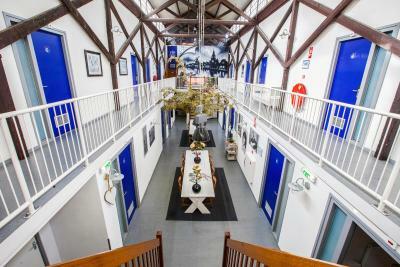 Kings Inn City Hostel & Hotel Alkmaar This rating is a reflection of how the property compares to the industry standard when it comes to price, facilities and services available. It's based on a self-evaluation by the property. Use this rating to help choose your stay! 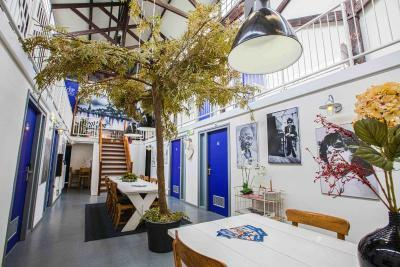 Located in the center Alkmaar with the well-known cheese market around the corner, Kings Inn City Hostel & Hotel Alkmaar offers free Wi-Fi access in all public areas. The main shopping street is within a short walking distance. Guests can rent bicycles at this accommodations. Also there is a bike/scooter shed. 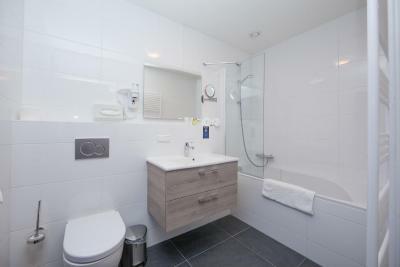 Each basic room comes with a bathroom that is fitted with a shower and toilet. Kings Inn has a hotel section and a hostel section. 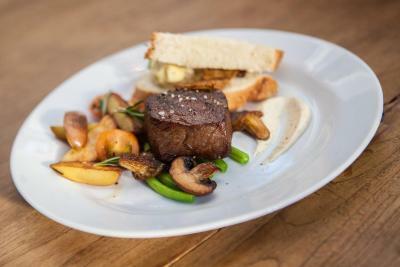 At Kings Inn you will find a bar and a restaurant. Other facilities offered include luggage storage. An array of activities can be enjoyed on site or in the surroundings, including cycling. 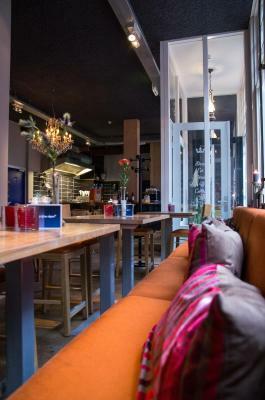 The hostel is 100 feet from National Biermuseum and 650 feet from Dutch Cheesemuseum. Alkmaar railway station can be found within 2,650 feet and it provides direct connections with the center of Amsterdam. Schiphol Airport is 22 mi away. The property offers parking at an extra cost. Storage places for motorcycles are also offered. 뀐 Located in the top-rated area in Alkmaar, this property has an excellent location score of 8.9! 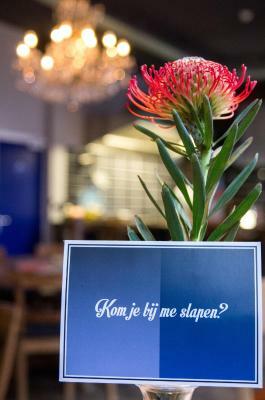 When would you like to stay at Kings Inn City Hostel & Hotel Alkmaar? 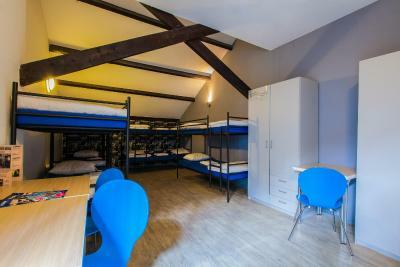 A single bed in a 4-person dormitory with private bathroom, toilet, wardrobe, table and chair. Bedlinen are included. Please note that this room does not offer windows. These rooms are located in the hostel section of Kings Inn. This room offers a bathroom with a shower. A single bed in a 6-person dormitory with private bathroom, toilet, wardrobe, table and chair. Bedlinen are included. A single bed in a 8-person dormitory with private bathroom, toilet, wardrobe, table and chair. Bedlinen are included. This room comes with a bunk bed and a private bathroom including a shower and toilet. Each room has a unique style, a different decoration and view. Some rooms are located at the waterside. The bathroom is equipped with a shower. This room is located in the hotel section of Kings Inn. Each room has a unique style, a different decoration and view. Some rooms are located at the waterside. The bathroom is equipped with a bath or shower. This spacious room overlooks the waterside and features a bathroom with a shower. This room features a fireplace and wooden furniture. This double room has a cable TV and dining area. Please note that this room has a window with a wall view. 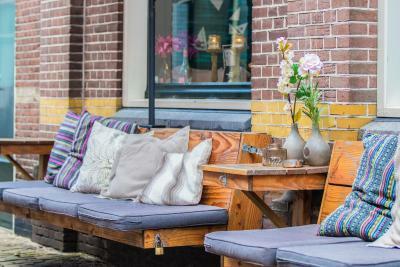 House Rules Kings Inn City Hostel & Hotel Alkmaar takes special requests – add in the next step! ATM card Kings Inn City Hostel &amp; Hotel Alkmaar accepts these cards and reserves the right to temporarily hold an amount prior to arrival. 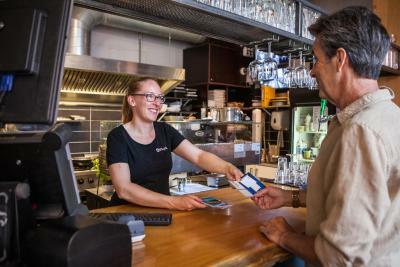 Kings Inn City Hostel & Hotel Alkmaar accepts these cards and reserves the right to temporarily hold an amount prior to arrival. Please note that the surcharge for bicylce rental is EUR 10 per bicycle per day. This was a very bad experience for me with a Dutch hostel. I stayed for 3 nights and booked an 8 bed dormitory on the first floor, No 17. There was a naked Dutch man who spent all day and night in his bed in the dorm, he did not even wear underwear. There was no fresh air and no air con and really not enough oxygen. Another guest was not happy when the naked man closed the door which I had opened to get some oxygen in the morning.The naked man woke everyone up. The Hostel Assistant Manager did transfer me and the other unhappy guest into another dormitory, then into another and then finally into a dark room with a small air conditioner. She was quite rude. There were bed bugs. My whole skin was itching and also my scalp. I had constant nose bleeding and breathing problems. I felt unwell. The other guest who complained as well was very distressed. We told the Hostel Manager but she never apologized. The second night a man made a very loud noise around midnight and collapsed with his chair and lay and slept on the floor in front of a room. I called the emergency number of the Hostel and sent them a text message but got no response. The room in which I and the other guest spent 2 nights was unpleasant. After the first night in the room with the naked man, my clothes and hair stank terribly and smelled bad because it stank so badly in the room. When I left 2 men were working on the air conditioning system, so it must have been faulty all along. I did not feel like on a holiday but more like in a prison cell. I did not really like anything. The price was quite expensive. Quite far from train station. The wall was thin, I heard when next door guests coughing or laughing. The bed and pillow are not very comfortable. The staff were nice, we called for a late check in after their check in limit and they waited for us. The place is clean, hot water runs well, heater works fine. The room was clean. Dom is quite clean and comfort. Hostel is nice with little beautiful decoration. Great location. Staffs are helpful and friendly. The room I was in had no windows at all. I felt like I was in a basement. They should add an age limit for the shared hostel rooms. There was an old man and lots of middle aged people. Definitely not as comfortable as a hostel with only young people. Staff was very friendly and accomodating. I was placed in a room where I was the only woman, but they quickly made changes to move me to a different room. Very good location in the centre, nice staff and restaurant. WiFi could be a bit better but didn’t really bother me to be honest. Staff are really friendly and you can have a decent rest at nighttime. Hooks for hanging up towels in the bathroom. Better instructions where to find the rooms (room numbers on the doors, how simple is it). A kitchen for guests to use. Very good price, amazing location and well organized hostel. There was no kitchen, something that would be of great value in the hostel. The staff was basic, the manager came across as an angry negative person. I thought the hostel was superb. It's just a few minutes walk from the Waagplein, where the cheese markets are held, and a 10-15 minute walk from the train station. I was checked in very quickly by friendly staff. The dormitory room was very clean, with lots of floor space for luggage, as well as lockers in the room and lockers also close to the room in the sitting area outside. The bed was comfortable, with powerpoints by it to charge up phones. It was quiet at night, I heard no noise from the restaurant that is in the front part of the hostel. The en suite bathroom was lovely and clean. I bought breakfast at the hostel, which was very good. There was hot food (bacon and scrambled eggs), as well as cereals, yoghurts, juice, fresh coffee, croissants and toast etc. 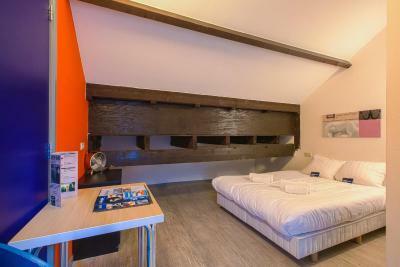 The hostel is modern, funky and well-designed. 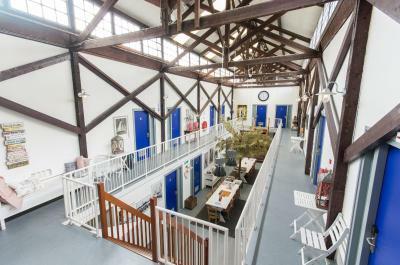 There is a central sitting area where the dormitories are, with tables and sofas. There's a good feeling to the place. The town itself is very safe, and very pleasant to walk around at night. It would have been helpful to have some hooks or shelving to put clothes and towels on. The room was spacious and the bed was very comfy. Bathroom and shower faculties excellent. The space around the rooms on the corridor was well appointed and a useful meeting point with colleagues.